The U.S. Court of Appeals for the Seventh Circuit ruled Friday that a law giving clergy an exemption from paying income taxes on their housing allowance is constitutional. The ruling protects religious leaders nationwide from having to pay nearly $1 billion more each year in taxes. The court’s unanimous decision in the case Gaylor v. Mnuchin reversed a district court’s ruling in 2017 in favor of the atheist legal group Freedom From Religion Foundation, which argued that excluding pastors’ housing allowance from their taxable income was unconstitutional. A group of clergy who rely on the housing allowance appealed that decision to the Seventh Circuit and were represented by the law firm Becket. “The tax code treats ministers the same as hundreds of thousands of nonreligious workers who receive tax-exempt housing for their jobs — that’s not special treatment, it’s equal treatment,” said Luke Goodrich, vice president and senior counsel at Becket, which defends religious rights. “The court rightly recognized that striking down the parsonage allowance would devastate small, low-income houses of worship in our neediest neighborhoods and would cause needless conflict between church and state,” he added. Pastor Chris Butler of the Chicago Embassy Church, a predominantly African-American congregation, says his church can’t afford to pay him a full salary, but it offers him a small housing allowance so he can afford to live near his church. 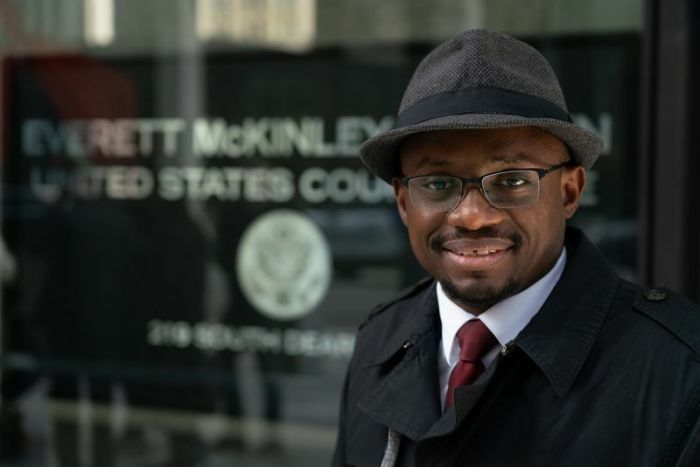 “This ruling is a victory not just for my church but for the needy South Side Chicago community we serve — our youth, our single mothers, our homeless, our addicted, and our victims of gang violence,” Butler said. “I am grateful that I can continue serving them and living side by side with them to make our neighborhood a safer, more peaceful place." In a previous interview with The Christian Post, Joe Davis, counsel at Becket, said the estimate of $1 billion per year in additional taxes comes in part from a report by the U.S. Department of the Treasury, which "estimates the housing allowance at $0.97 billion for 2018, and expects that it will actually exceed $1 billion this year." "Congressional estimates — for instance the Estimates of Federal Tax Expenditures for Fiscal Years 2016–2020, prepared by the Joint Committee on Taxation — likewise estimate the allowance at nearly a billion dollars annually," Davis said. Judge Michael Brennan wrote in his opinion Friday that “Congress has enacted federal tax exemptions for religious organizations as far back as 1802.” And dismissed FFRF’s claim that a tax code exemption for clergy housing violated the Establishment Clause. “FFRF claims [that the tax code exemption for religious housing] renders unto God that which is Caesar’s. But this tax provision falls into the play between the joints of the Free Exercise Clause and the Establishment Clause: neither commanded by the former, nor proscribed by … the latter. We conclude [the tax code] is constitutional. The judgment of the district court is REVERSED,” Brennan added in the opinion. The co-plaintiffs with Gaylor were FFRF Co-President Dan Barker (a former pastor-turned-atheist) and Ian Gaylor. “The clergy allowance is not a tax deduction, but an exemption — allowing housing allowances paid as part of clergy salary to be subtracted from taxable income. The congressional Joint Committee on Taxation has reported that the exemption amounts to $700 million a year in lost revenue,” FFRF said in a statement Friday. In 2011, the FFRF filed a lawsuit against the tax code exemption for religious housing, a law passed in 1954 that gave clergy a tax exemption for their housing allowance. In 2013, U.S. District Court Judge Barbara Crabb for the Western District of Wisconsin ruled in favor of the FFRF, only to have the decision overturned in November 2014 by a three judge panel of the Seventh Circuit. According to the panel, FFRF lacked the standing to sue because the atheist group had never asked for the exemption and thus had not been denied it. In her opinion Crabb wrote that the tax exemption "violates the Establishment Clause” because it “eliminates the burden for a group made up of solely religious employees but maintains it for nearly everyone else."